Discover an exciting new way to enjoy the amazing wonder of beans. 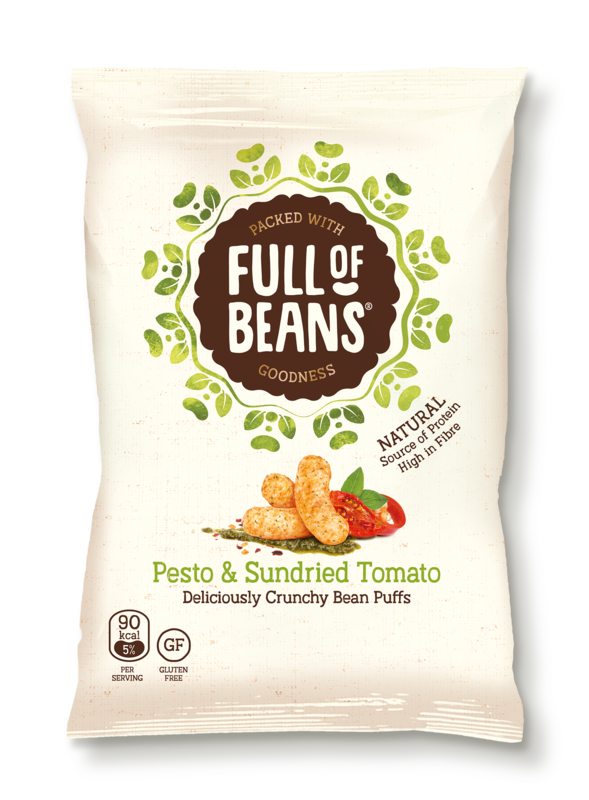 Made with real Navy Beans, these crunchy puffs will re-define the way you snack! 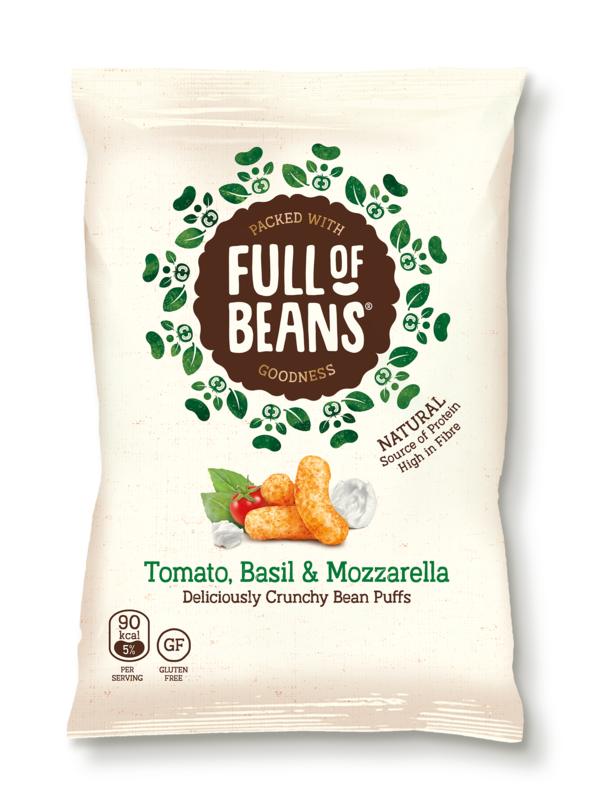 Our products are gluten free, packed with fibre and protein, free from artificial colours, preservatives, flavours and low in saturated fat. 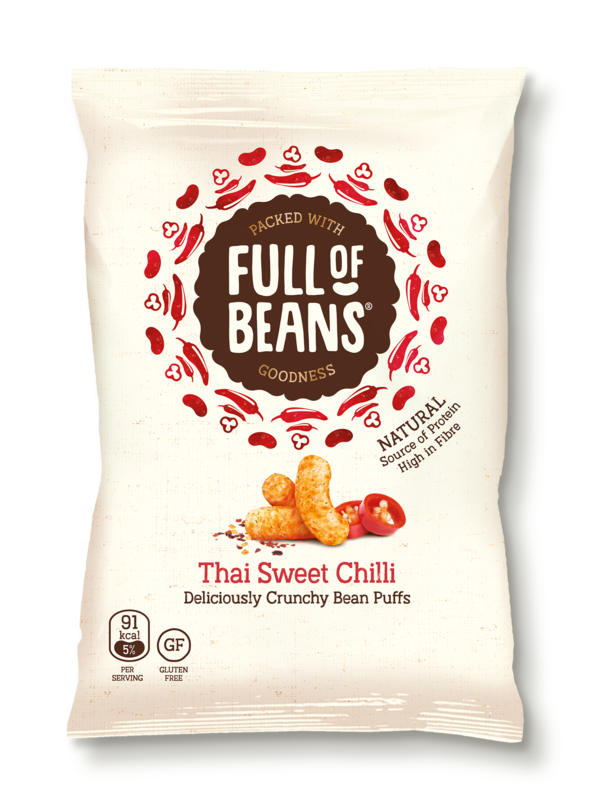 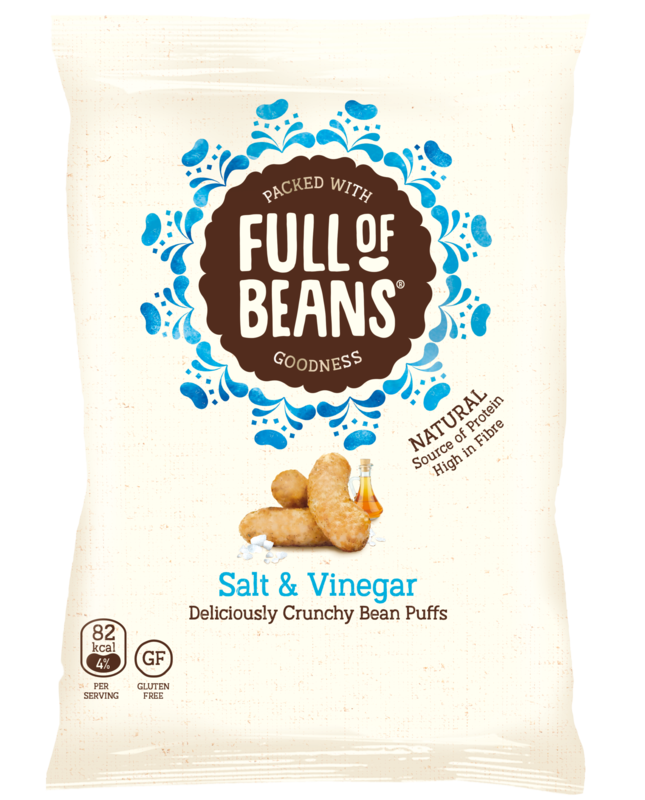 Each Full Of Beans Puff is made to be irresistibly crunchy with a generous seasoning of Salt & Vinegar flavour. 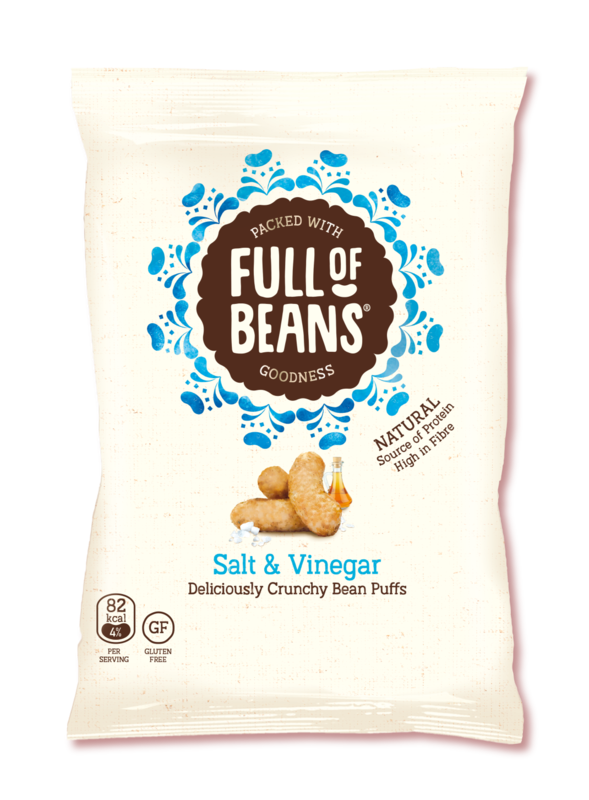 Navy Bean Flour (40%), Organic Brown Rice Whole Flour, Organic Sunflower Oil, Salt & Vinegar Flavour Seasoning (10%) (Rice Flour, Acid: Citric Acid E 330, Glucono-Delta-Lactone E 575, Sugar, Natural Flavouring, Salt, Acidity Regulator: Sodium Acetates E 262, Potassium Citrates E 332, Sunflower Oil,) and Organic Brown Rice Protein.